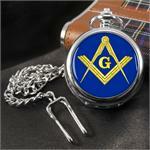 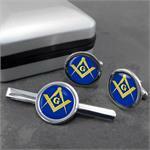 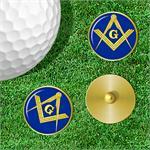 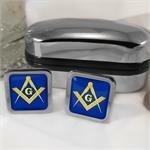 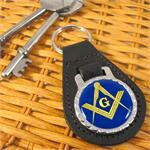 Masonic gifts including pocket watches, cufflinks, tie-slides, lapel pin badges, keyfobs, flip top lighters and many more. 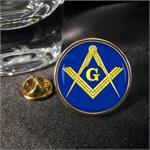 Using the images of the masonic bodies including Holy Royal Arch, Order of Mark Master Masons, Knights Templar, Masonic and Military Order of the Red Cross of Constantine and the Orders of the Holy Sepulchre and of St John the Evangelist, Royal Ark Mariners, Ancient and Accepted Scottish Rite, Royal Order of Scotland, York Rite; and the images of the jewels of the Worshipful Master, Senior Warden, Junior Warden, Treasurer, Secretary, Deacon, Steward, Tiler, Inner Guard, Chaplain, Marshal, Master of Ceremony, Organist, and Past Master. 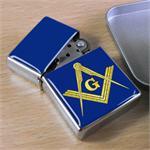 Our fliptop lighter complete with your coat of arms comes in its own gift tin, ready to give as a gift.